In other news, while organizing our marketing shelves this week, we happened to come across several large unopened boxes. Christmas came early when we opened them up like presents. 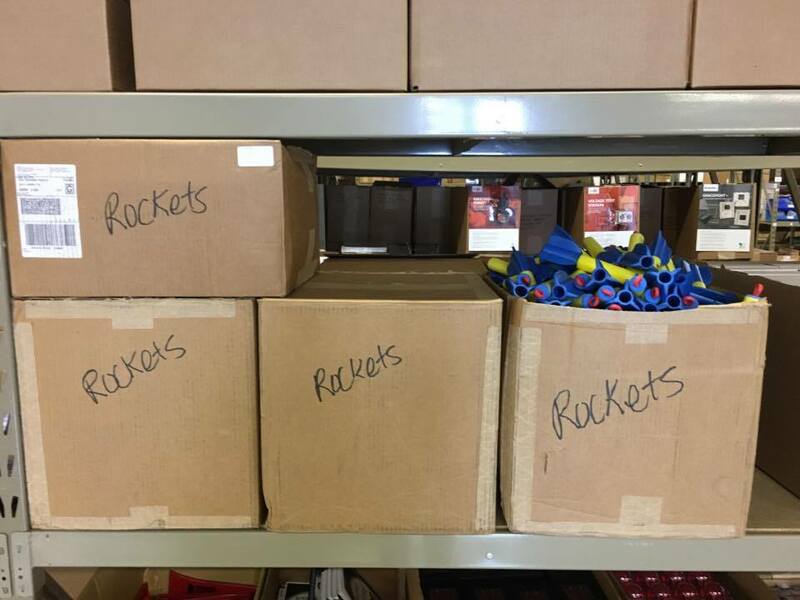 Low and behold, we uncovered a treasure trove of rockets. Hit the giveaway button below and we'll shoot one to you!